Comic Book movies may very much be the in thing at the moment, but most of the big names are already taken. With Marvel and DC sewn up, other studios are forced to look elsewhere for comic properties to adapt. So it's not really that surprising to be seeing more Hollywood studios sniffing around manga and anime franchises. Although there's yet to be a successful Hollywood adaptation of a manga or anime property, a number of them have been optioned lately, including Death Note and Naruto. As revealed at this year's New York Comic Con, the latest series to be snapped up is the Superhero show Tiger and Bunny. Tiger and Bunny is a 2011 series about superheroes who fight crime and protect the innocent while taking part in a reality TV series called Hero TV. It's setting is very western influenced and could potentially be an incredibly fun twist on the current vogue of superhero movies. Although dozens of anime have been optioned and never made it to the screen, this has some impressive names involved already. None other than Ron Howard is set to produce alongside Brian Glazer at Imagine Entertainment. The announcement was made at the panel by original producers Sunrise, so it's hopeful that the film will not mess with the formula too much. The project is currently seeking a director and screenwriter. 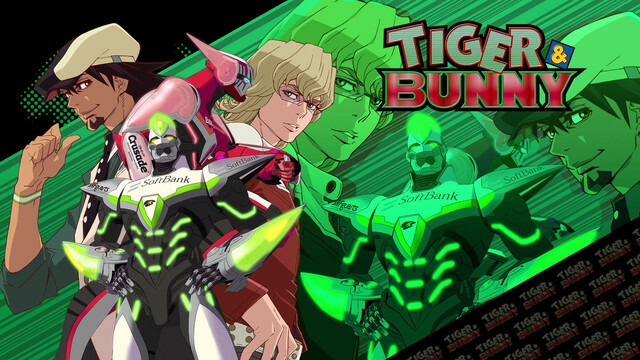 Tiger and Bunny is easily the best fit for Hollywood of any of the current crop of planned anime-inspired movies. Its influences are chiefly western, and after all the original setting was based on New York in the first place. Although we wouldn't be too surprised if they change the name. You can be sure we'll be keeping a keen eye on this one.